With Africa Day’s flagship Dublin event just around the corner, we are delighted to announce the full line-up for the Atilogwu Stage! As always, stage coordinator, Timi ‘Tim Dogg’ Martins of Goodlife Promotions, promises another incredible serving of rap, hip-hop and R’n’B from a selection of African, Irish and international artists. Check out the line-up below. Akimm is an Irish/Nigerian artist blending influences from R&B and Afro-Pop into his own unique style. Having headlined shows across Ireland and the UK, Akimm has wowed fans with his distinctive vocals and hard-hitting lyrics. Akimm is currently at work on his new singles ‘Slay Mama’ and ‘Halimah’, which will form the nucleus of his much anticipated “EP REBIRTH”. Akimm’s songs are available on YouTube, Tidal, Spotify, Shazam and ITunes. 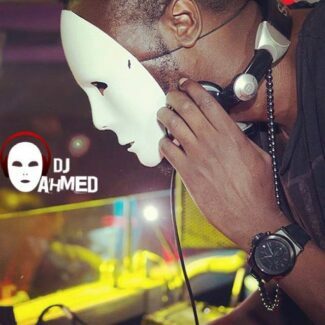 DJ Ahmed is the one of the Irish entertainment industry’s premier DJs and producers. His name is synonymous with what’s happening in the top clubs, concerts and festivals in Ireland & the UK, and he has supported a number of major recording artists including Rihanna, Drake, Snoop Dogg, Lil Wayne, Kanye West, Calvin Harris and many more. DJ Ahmed is also a radio presenter with SPIN 1038 and on air every Friday for a 2-hour slot. He is known as The Masked DJ due to his signature stage attire. 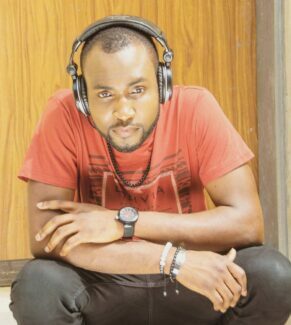 Pop Dogg is multi-award winning Malawian born, Irish rap artist, songwriter, producer, founder and president of his own record label, Malawian Ninjaz Records. With his explosive lyrics, clever punchlines and smart wordplay, Pop Dogg has carved out a niche for himself in the Irish hip-hop landscape. As a bilingual, he is one of the few artist to rap, sing and write multi-syllable rhymes in two completely different languages. Highly energetic on stage, Pop Dogg has performed his music in Africa, Europe and the United States. Some of the artists he has performed alongside include American rapper The Game, 2Face and Ruggedman of Nigeria, and Awilo Longomba of Congo. DJ Wax is considered one of the premier chart/commercial/urban/RnB/house DJs on the Irish circuit. The Dublin-based artist began as a party DJ, playing house parties throughout the city before graduating to nightclubs. Wax intuitively works a room with his creative mixing, scratching and programming style, playing music for the masses, as well as the most discriminating audiences. Music enables Wax’s soul to speak, you can feel him when you hear him and you immediately understand the love he has for music. Currently a student in Greenhills, Wendy has just released her latest song ‘Follow the Leader’ which has marked her out as one to watch. Wendy does it all – she sings, writes her own songs, and even models. She has an album to her name ‘Goodbye Teacher’ and it features her popular song ‘Kids on the Beach’. She has performed at many teen talent events such as Bright Sparks Kids and Teens magazine and has also performed at several places such as Africa Day, Inspirational Day and Culture Connect: St Patricks Day, Christmas All around the World, Fusion Fashion Show and a Multicultural Day. The Motivators are a young, all-female, singing and dancing group from Ireland. The trio perform a number of original songs, as well as commercial and chart R’n’B covers, complete with choreography. 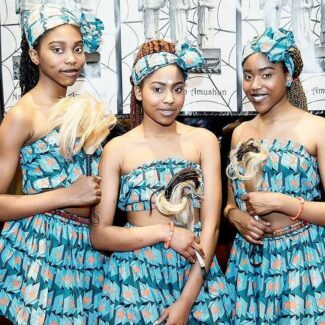 The Motivators are a group of three Sisters who sing and dance together. They are originally from Nigeria but live in Drogheda. Yvonne, Wendy and Laura Ileogben love to sing and dance, and have been performing for audiences from a very young age. 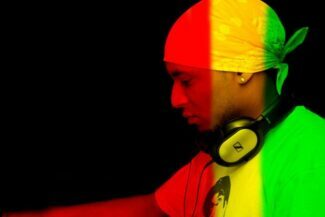 ‘DJ DaKrys’ aka ‘Selekta DaKrys’ is an Afro-Mauritian DJ. He has a unique style, drawing inspiration from zouk, sega, reggae, sookoos and reggae dancehall. Many of his musical influences come from islands in the Indian Ocean such as the Seychelles and Reunion Island. 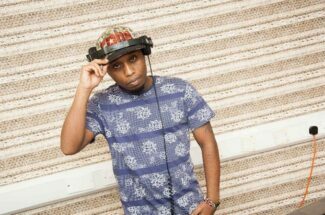 In addition to these influences, he also has a love for urban music such as hip hop, R’n’B, UK funky, Afrobeat and house. 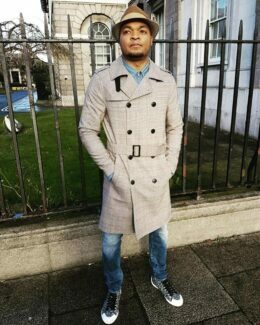 Rotimi ‘Timi’ Martins is a Nigerian-born resident of Ireland. 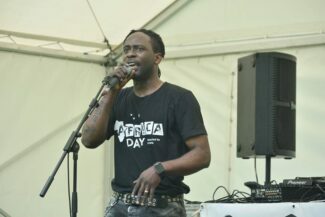 He is an official champion for Africa Day, curates and manages the ‘Atilogwu’ Stage at Africa Day Dublin. 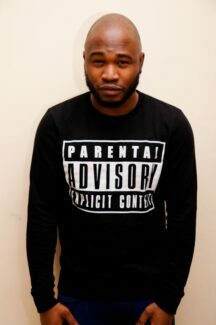 He is also a rap artist who performs under the name of Tim Dogg and had promoted a number of multicultural events from Afro-Irish concerts through his work with Goodlife Promotions. 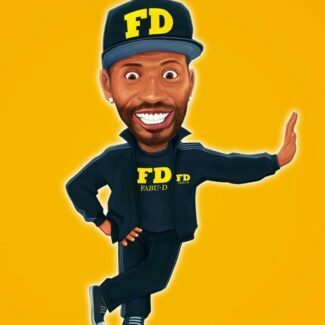 FABU-D is an Irish comedian based in the Dublin City area. Known for his outgoing personality and edge-of-your-seat comedy, he has been touring the country since 2009 bringing what can best be described as Afro-Irish comedy to the people of Ireland. His debut performance supporting Dave McSavage at Vicar Street to a sell-out audience of 1,300 people. DJ Spaqz is a Dublin-based DJ and CEO of Radio2hot.com. He first came to prominence as the resident DJ at London clubs such as Club 19 and Lincolns. DJ Spaqz has toured Italy, Spain, Kenya, Romania, UK, Germany, Hungary, Turkey, Cyprus, France, Holland and many more. His achievements include being voted best African DJ in Ireland in 2010 & 2011 and he was awarded the Mayor of Dublin Certificate for his contribution to the community through music and entertainment. As an international DJ he has worked with artists such as Olivia (G Unit), Wayne Wonder, Mobb Deep, 50 Cent, Onyx, Xzibit, B -Real (Cypress Hill) and many more. TFCLIQUE are an R&B/Pop/Afrobeat music group that consists of Tomiwa Adegboye (Tommy Tomad) and Sanjo Olajubu. The duo have been carving out their place on the Irish urban music scene with their catchy tracks and smooth melodies. Both originally from Lagos in Nigeria, they moved to Ireland in the mid-noughties, ending up in Dundalk where they attended the same school and became friends. It was here that The Future were formed in 2009. TFCLIQUE released their first mixtape, Time Machine, in 2011 which was received with positive feedback due to its level of quality, songwriting and delivery. It features the well-known track “You Complete Me”, which firmly placed TFCLIQUE on the lips of the nation as a group to watch out for. 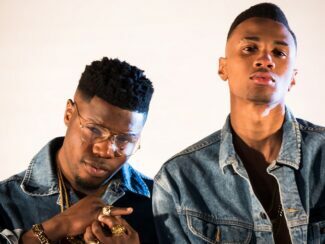 The duo went on to releasing two new official singles in 2013 “When she calls me Badoo” and “Magic” which lead to putting an E.P together for the fans “The WarmUp “ which later got released in 2016. The duo is now working on its next single which is scheduled to release later this year.